I am excited to announce that the University has contracted with Kirksey Architecture of Houston and Gund Partnership of Cambridge, Massachusetts to design a new Art Complex on the corner of Bobby K. Marks Drive and 17th Street, directly across the street from the Gaertner Performing Arts Center. 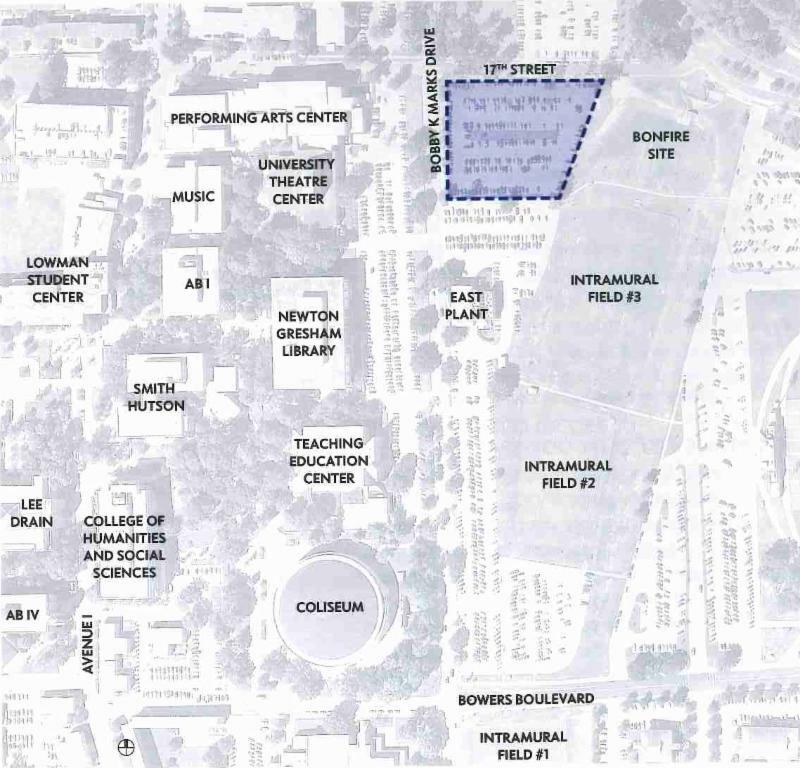 The complex will house all of the Department of Art programs in one location and is scheduled to open in Fall 2019. We have a lot of events coming up this spring semester. I hope to see you at the Faculty Show reception, the University Avenue Art Walk, and other upcoming events soon. Every year half of the Department of Art faculty exhibit their work in the Gaddis Geeslin Gallery. This year the exhibit includes work by Jack Barnosky, Kate Borcherding, Chuck Drumm, Rebecca Finley, Michael Henderson, Taehee Kim, Cynthia Reid, Cesar Rivera, Tony Shipp, Mica Smith, and Anthony Watkins. In conjunction with the exhibit, Dr. Melissa Mednicov will moderate 2 panel discussions in the Art Auditorium. All events are free and open to the public. Parking is available close to the Gallery. Call 936-294-4311 for information. Featuring works by students in Professor Tony Shipp's Advanced Studio class. The exhibit features works in Painting, Drawing, Photography and Sculpture that use suitcases as metaphors. Works by Kate Borcherding, Cynthia Reid and Tony Shipp in the 57th Annual Faculty Exhibit. The Department of Art and the SHSU Student Art Association will host an Art Walk down University Avenue from 2-6pm. Starting on Campus in the new FAMC Creative Community Gallery in Belvin-Buchanan Hall, the Art Walk will proceed down University Avenue. George Russell's Museum of Texas Arts, Museum of Genocide, and Museum of Texas Furniture, Stoneware and Kitsch will be open. Student Art Association members will be volunteers to guide you along the way. At the other end of University Avenue, the Adickes Foundation will be open in the old Huntsville High School where works of art by David Adickes are on display. The Art Walk will culminate with a reception at the SHSU Satellite Gallery from 5-6pm. Dr. Melissa Mednicov, Assistant Professor of Art History, will present her paper "Sounding Pop Art's Exhibition History" at the College Art Association conference in New York on February 16. She is the recipient of an Art Writing Workshop Award given through the Creative Capital/And Warhol Foundation Art Writers Grant Program and she continues to write reviews of art exhibitons for the online art journal Glasstire. Valerie Powell, Assistant Professor in WASH, exhibited new work at 500X Gallery in Dallas last fall. She is the host, creator & curator of a new podcast series sponsored by FATE [Foundations in Art: Theory & Education], titled Positive Space: Conversation in Arts Foundations. 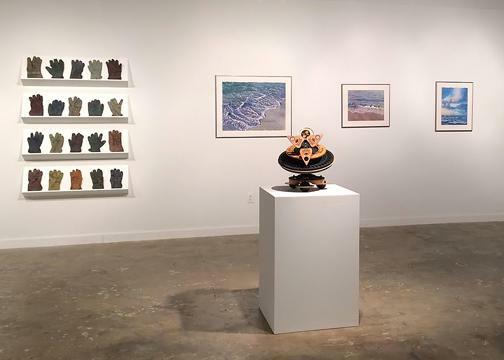 Kate Borcherding, Professor of Art, had a solo exhibit and gave an artist's talk at the Center for the Arts Bosque Gallery at Lone Star Colleg-CyFair in Cypress, TX. The exhibit Reimagine: Memories of Our Ancestors featured work created at her recent residency at the Kohler Art Center. Martin Amorous, Associate Professor of Art, exhibited 4 paintings in Voices of Trees at Mother Dog Studios during the 2016 Houston Artcrawl. Michael Henderson, Associate Professor of Art, will have 4 works included in the exhibit Drawing Room at Cedar Valley College Art Gallery in Lancaster, Texas February 20-April 7. Cesar Rivera, Assistant Professor of Graphic Design, was recognized for his logo design in the publication Graphis, and his poster was featured in a TED Talks blog post about designs to "Get Out the Vote." Edward Morin, Associate Professor of Computer Animation was included in The Fifth International Festival and Conference of Innovative Sound Design, at Ball State University, Muncie Indiana. Cristal Zuniga, Senior BFA Graphic Design major, is a winner in the AIGA Flux 16 Student Design Competition in Maryland. For the second year in a row, students from the Computer Animation Program at Sam Houston State University participated in a cultural exchange with animation students from the Victorian College of Arts in Melbourne, Australia. This year, students on both sides of the globe created one second animations based on specific themes selected by Professors Paul Fletcher from VCA, and Edward Morin from SHSU. These animations were recently included in VCA’s 1st & 2nd Year Undergraduate Screening on October 28 as part of ASIFA’s “International Animation Day.” Professor Fletcher said that there were over 150 attendees for the event, which included industry representatives from the Melbourne International Animation Festival, Cartoon Network, and Rubber House Studios. Professors Fletcher and Morin are looking forward to continuing the collaboration next year. Last Spring, students and faculty from the SHSU Computer Animation Program created animations for the Children's Language Learning DVD for Tiny World Productions. This yet to be released DVD is being produced to help children learn Spanish and Chinese. The animations were created by Fabiana De Lilla, Noure Zein, Melissa Glasscock, and Edward Morin. 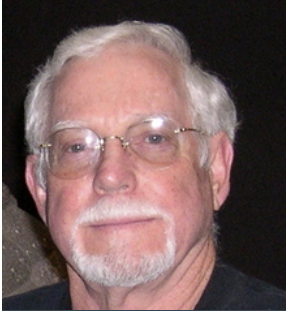 Jimmy Barker, retired Professor of Art and former Department Chair passed away last October. Jimmy came to Huntsville in 1969 to teach Jewelry and Drawing at SHSU. He served as Chair from 1984-1995 and retired from SHSU in 2007. Jimmy's son, James Barker, has generously donated works from Jimmy's art collection to the SHSU Department of Art. This collection includes works by Jimmy and works by other former faculty members and students that Jimmy collected over the years. These works greatly enhance the Department of Art collection. One work from this donation will be selected to be auctioned at the Department Gala next fall. The money raised will be added to the Distinguished Art Faculty Scholarship Endowment. The Distinguished Art Faculty Scholarship Endowment awards are made every year in honor of Dr. Gene Jackson and Mr. Charles Pebworth, and in memory of Mr. Gaddis Geesllin and Mr. Joseph Polley Paine. The Department of Art hopes to raise $5,000 through donations and the auction to honor Jimmy in this endowment. To make a donation in honor of Jimmy Barker, please contact the Art Office at 936-294-1315. In addition to the donation of art from the estate of Jimmy Barker, the Department of Art has recently received other significant works of 20th Century Texas Art. Gordon Williams has presented the Department with a watercolor by Gaddis Geeslin done in 1946 and Carol Smith has donated an early Kenneth Zonker oil painting. Larue Smith donated a Joseph Polley Paine print that was auctioned at the 2016 Gala. The Department of Art is committed to preserving and exhibiting works by former Department of Art faculty and alumni. 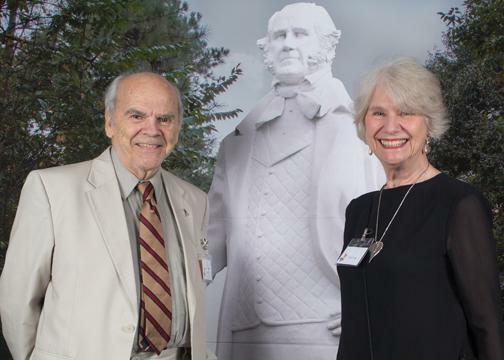 These donations strengthen the collection's ability to tell the story of early Texas art and the important role of artists with Huntsville connections. David Adickes and Linda Pease at the 2016 Department of Art Gala a Celebration of Art and Community. Please consider a donation to Friends of Art. Friends of Art supports SHSU art students through scholarships and awards, including the juried student show awards, study abroad scholarships, and other several other scholarships based on excellence. The Department is deeply grateful for all of the support that benefits our students.